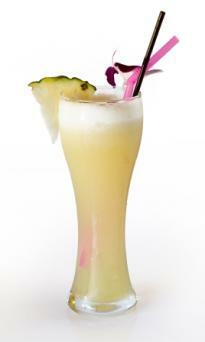 The pineapple diet is a popular short-term fad diet some people try in order to help lower blood pressure. Several versions are available, typically lasting from three to five days. Strict versions allow only pineapple, pineapple juice, and tuna, while others are more liberal and include a variety of other foods. The three-day diet is a very low calorie diet, at about 400 to 635 calories per day. The following is a meal plan for this most restrictive version. Drinks allowed are water, green tea, and lemon water. Animal studies show bromelain, a mixture of enzymes present in pineapple, appears to have anti-hypertensive properties, according to a 2016 review published in Biomedical Reports. Authors of the review say bromelain has to be ingested for prolonged periods to work as an anti-hypertensive agent in animals. However, a 2016 study published in the Chinese Journal of Integrated Medicine found blood pressure did not significantly change in human study subjects given bromelain supplements (1,050 milligrams daily) for 12-week periods. However, the pineapple diet likely works for short-term weight loss simply due to restricting calories to between 400 and 1,200 daily depending on which version of the diet you choose. The three-day (400 to 635 calorie) restrictive plan may help you shed pounds quickly, but it isn't sustainable long term. The more liberal version (5-day, 1,200-calorie diet) is a more balanced approach and easier to maintain longer term (for more than just 5 days), so it is better suited for safe and effective weight loss. If you're overweight or obese, losing just 5 to 10 pounds can help lower blood pressure, says the American Heart Association. Likewise, except for soup and canned tuna, the diet is fairly low in sodium because pineapple is a very low-sodium food (it has 1.7 mg per cup). The American Heart Association suggests limiting your sodium intake to 1,500 milligrams daily (no more than 2,300 milligrams) to lower blood pressure, which you can accomplish by choosing low-sodium tuna and low-sodium soup while on the pineapple diet. Pros and cons exist when trying this diet to lower hypertension. If you love pineapple, it offers a way to lose weight as a blood pressure-lowering strategy. Choosing low-sodium foods when following the pineapple diet is another way to lower blood pressure. However, many versions of the diet are restricted in what you can eat, which makes it difficult to follow long term, which is necessary to reap health benefits of weight loss and lower blood pressure. The effect of bromelain on blood pressure remains unclear based on animal and human studies. 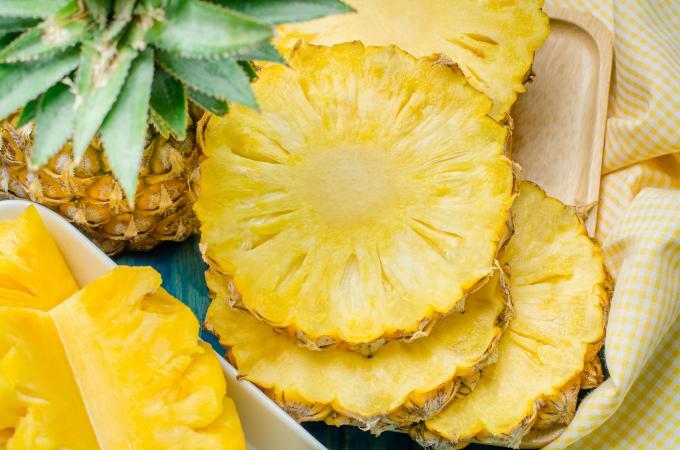 While the jury is still out on how bromelain affects blood pressure, you can include pineapple in a healthy blood pressure lowering diet without creating such drastic limitations on what you can eat. Instead of following a short-term crash diet like the pineapple diet, try one like the DASH diet, which the National Institutes of Health developed specifically for lowering blood pressure. Choose pineapple for one or two of your fruit servings daily. Include regular exercise, which can also help reduce hypertension. If you do choose to follow a pineapple diet, the 5-day version listed above provides the calories you need to sustain your health while helping you to lose weight, which will help lower your blood pressure. However, for lasting change, you will likely need to pursue the diet for more than five days. Talk with your doctor before making any drastic changes to your diet to ensure it's safe for you. The pineapple diet is a short-term approach to weight loss. To reap blood pressure-lowering benefits, you'll likely need to modify it to be something you can follow more than just three to five days. The main keys to lowering blood pressure include losing weight if you're overweight, exercising regularly, and limiting sodium to 1,500 to 2,300 milligrams daily.